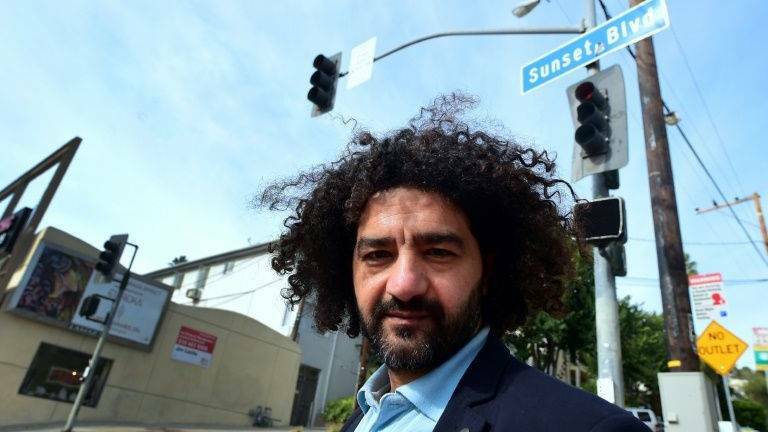 LOS ANGELES: The Iraq War may have ended in 2011, but for filmmaker Mohamed al-Daradji, the conflict that tore his country apart remains very much part of his everyday life. “To me, the people of Iraq have not grieved, they have not come to terms with what happened ... and I felt that maybe this is how my film can help and allow people to see themselves on the big screen”. The film transports viewers to 2006 — five minutes before Iraqi dictator Saddam Hussein died by hanging at dawn, Daradji says — and introduces a female suicide bomber planning an attack during the reopening of the Baghdad train station. Within the confines of the station, where the drama unfolds, Daradji relays Iraq’s pain and suffering through various narratives — from the distraught child bride in a wedding dress, to street children surviving by selling flowers and polishing shoes and a musician returning to normal life after 22 years in a POW camp. Added to the mix are the American soldiers patrolling the station and barking orders, their humanity poking through as one sings a lullaby to his child back home on the phone. The first film to be released commercially in Iraq in 27 years, “The Journey” has been selected as Iraq’s official contender for the upcoming Oscars in the foreign-language category. It will be Daradji’s third time representing his country at the Oscars, following “Ahlaam” in 2007 and “Son of Babylon” in 2010. Like Daradji’s four other features, “The Journey” examines the war’s consequences, this time through the eyes of the female protagonist as she comes to terms with the horrible act she is about to commit. “I began to make some research and found out there were more than 200 female suicide bombers in Iraq,“ he said. He said his next movie, “Bird of Paradise,“ will also feature a woman as the central character, as well as children. As with all his features so far, Daradji said his latest project will again touch on Iraq’s turbulent history. “In a funny way, I think all Iraqis suffer from PTSD (post-traumatic stress disorder) ... and through my films I am shouting, I am letting out my anger, my frustration,“ Daradji said. “I made ‘The Journey’ for selfish reasons,“ he added. “In a way, it helped me come to terms with myself.